Going to hair salon to get your hair done should be relaxing, however, there is one reason why you should be worried, and it’s not the cost. You probably know the chair and the sink where the hairdresser puts your head to wash your hair, and it is very uncomfortable. Sadly, you don’t have to worry about the dicomfort, but about the fact that this position of your head can put you in a risk of getting a Beauty Parlor Stroke. 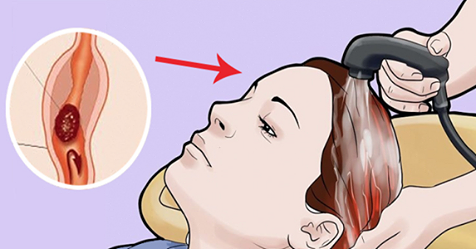 It is a stroke that is caused by damage to the blood vessels in your neck, as a result of the strain and jerky movements the salon’s shampoo sink creates. One women experienced this kind of stroke. She noticed a sudden weakness in her left arm and left leg about a week after a tip to her hair salon. As another week passed, she was rushed to the hospital with nausea, projectile vomiting, and a head that was hot to the touch. The doctors confirmed that she had suffered a stroke. The stroke is an illness that results of restriction of the oxygen in the brain. Once a blood vessel is either damaged or blocked, it causes abnormal blood flow or even clotting. When the blood flow is being reduced, it finds its way to the brain and manages to kill brain cells. This leads to certain physical consequences which can be different, depending on the region of the brain that it has impacted. For instance, if the damage is done in the left side of the brain, the consequences will include problems with speech and language or problems in the right side of the body. If the right side of the brain is damaged, then the consequences include vision loss or problems in the left side of the body. According to statistics, stroke is being the number 5 most common cause of death in the United States, and the number one most common cause of disability. 40 percent of the people in the USA who have suffered a stroke are men, and 60 percent of them are women. Nevertheless, eighty percent of the cases of strokes could actually have been prevented. The most important thing you should do is to protect your neck. Before the hairdresser starts washing your hair, make sure that the sink suits your height and it is comfortable, or it includes an adjustable chair. Remember to rest the back of your neck on at least one folded towel, so that the strain is as minimized as possible. And, when you’re at home, you should manage your blood pressure. The experts say that blood pressure is the largest preventable factor in getting strokes. Keeping your high blood pressure in check can make one of the biggest differences of stroke prevention. First of all, you should always have a balanced, healthy diet. If you’re eating foods that are too high in trans-fat, cholesterol, and sodium, you’re increasing your risk of stroke every day. Instead, focus on eating whole foods with healthy fat contents, flavor your meals with salt alternatives, and watch your sugar intake. For more tips you can check out this article. This is also very important for you and your health in general – get active! It’s not only about what you put in your body, it’s about what you do with it. If your daily lifestyle lacks exercise, you increase your risk of high blood pressure, high cholesterol, diabetes, heart disease, and stroke. If you, or anyone around you, start to experience the symptoms of a stroke, seek medical attention immediately! The faster you respond to the warning signs, the better your chances of survival and recovery.